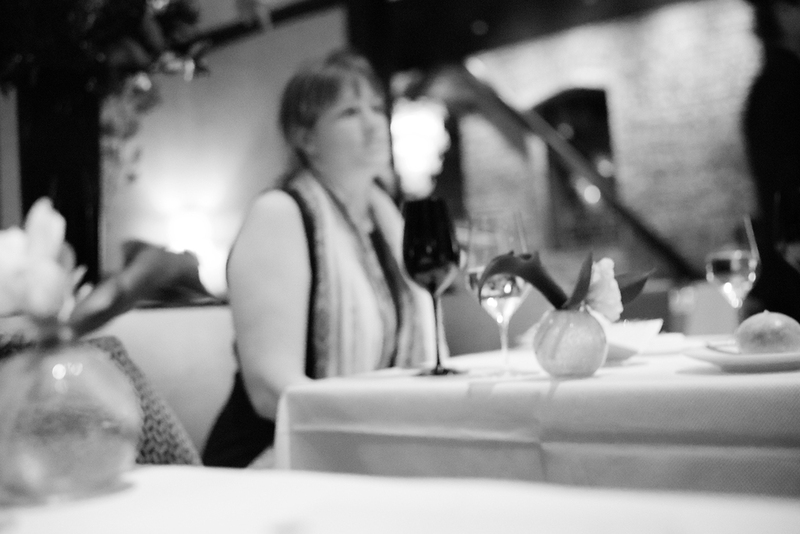 For Anna’s birthday dinner a few weeks ago, I took her to Quince, a restaurant located in the in Jackson Square neighborhood of San Francisco. 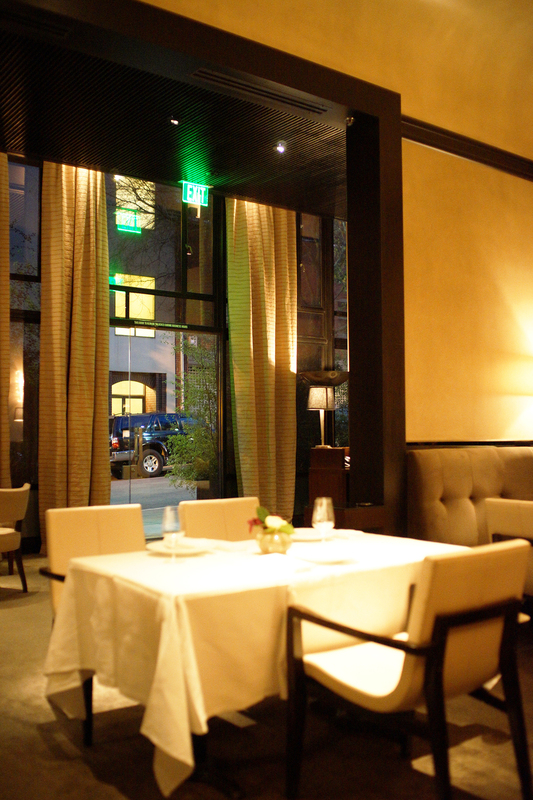 Chef Michael Tusk's menu is French and Italian inspired and sources local ingredients from Northern California. Walking into the restaurant, you couldn’t help but feel at ease. The host made eye contact, smiled, and welcomed us warmly. Coats were taken and we were shown to our table in under a minute. After settling in, we started off with a glass of Rose in a striking champagne glass with a needle-thin stem. Our server, Jonathan, told us they chose Zalto, a boutique glassware maker from Austria, over Riedel and Ravenscroft because their stemware are extremely lightweight yet durable. 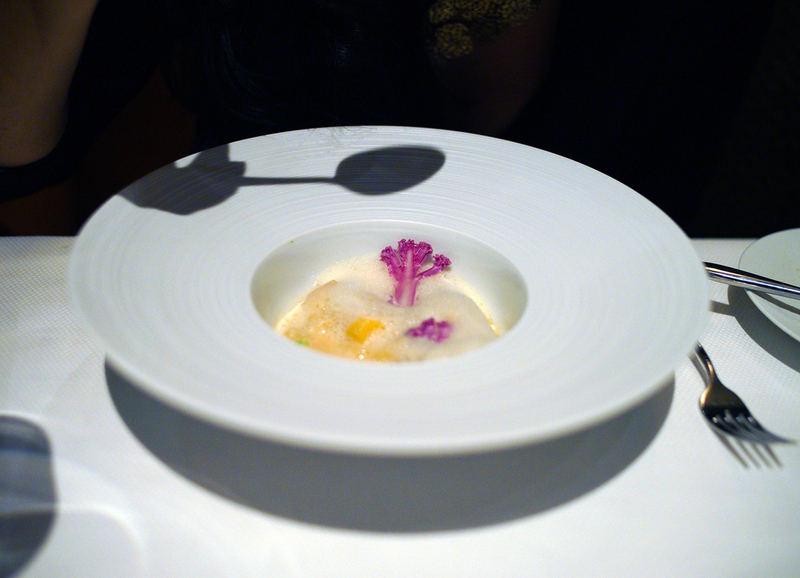 There were a few tasting menus to choose from and we decided on the full-blown Quince menu (9 courses). Minutes later, our journey began with a delectable bowl of crunchy chips; the purity of flavor in this playful dish made for an excellent amuse-bouche. A flurry of canapes followed. 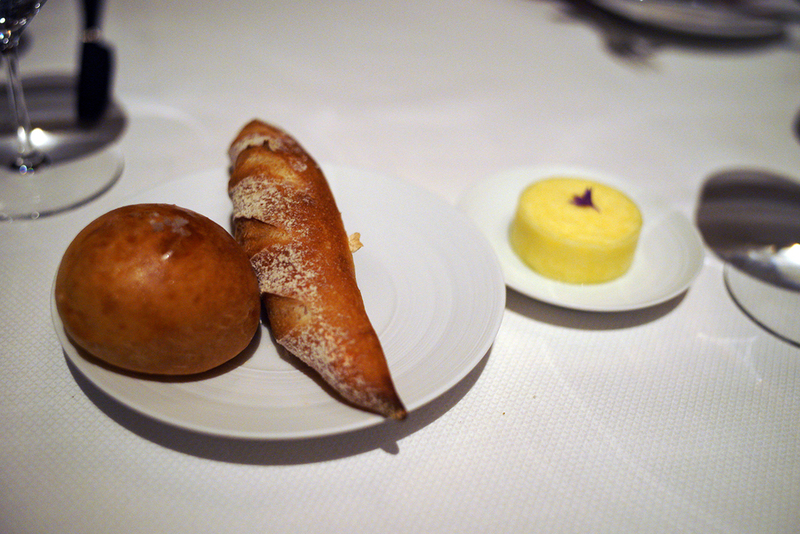 First, a creamy ricotta and truffle concoction that I wish there were more of. 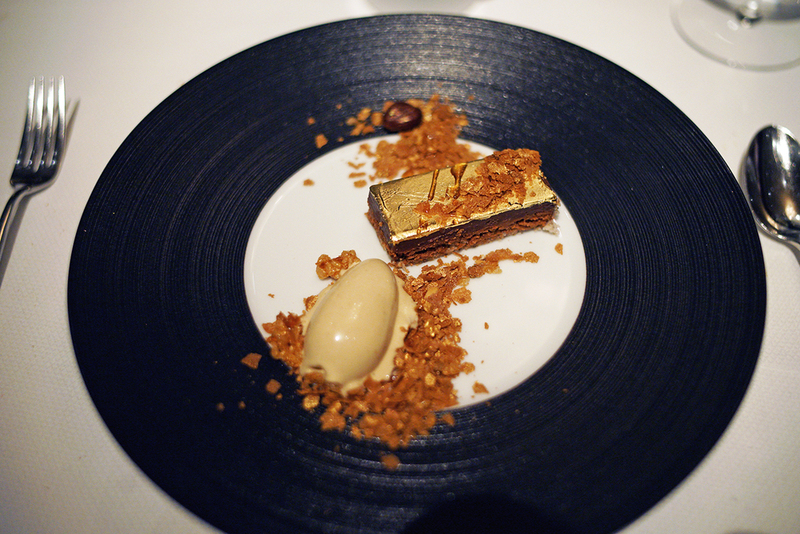 Next was a tray of four bites that burst with contrasting textures and flavors. Even though the dining room began to fill up, the noise level was very low. Service was attentive and not intrusive. They were kind enough to give us a printed menu at the end of the meal which meant I could put away my notes and enjoy the meal with Anna. 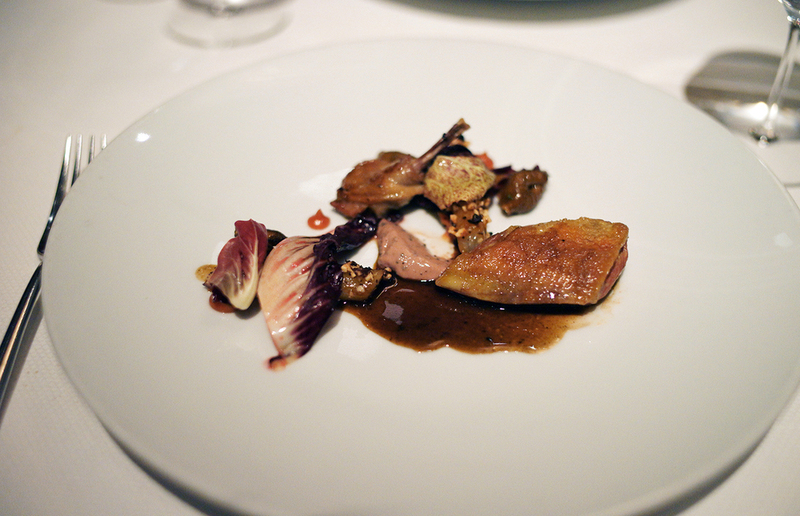 The first dish epitomized what I liked about Quince. Flawless technique that yielded simple and pure flavors. Distilled to its core, this dish had 3 main components: a smooth beet sherbet with a tarty granny smith apple granita topped with small cubes of refreshing horseradish that were frozen with liquid nitrogen. Fancy techniques, unconventional format, but at the end of the day, the flavors were familiar. Next to us was a couple also celebrating their birthday. They wanted the wine pairing but their server gave them two choices. They could either go traditional where the wines were explained at the onset of the course, or ---I swear the server had a twinkle in his eye -- they could go for the blind pairing. Much to my delight, they went with second option. Wines were served in a black opaque glass before the course for them to guess. Extra points if they could decipher the year and the location of the vineyard. Throughout the night, they nailed around 7 out of 10 glasses, correctly deducing the varietal and the region of the wine in the black glass. They were both engaged in the activity and more importantly, learning about why the specific wine and course were paired together. A great idea that other restaurants should adopt. This reminded me of a documentary called Somm - a story about four friends and their goal of passing the Master Sommelier exam. My favorite scenes from the film involved blind tastings where they had to describe the characteristics and flavor profiles of the wine and the country of origin, the year, and the name of the vineyard. All that from a few sips - an impressive feat. A reflection caught my eye. I paused my conversation with Anna and watched as a server skillfully poured red wine from a remarkable looking vessel. My favorite course of the evening wasn't even on the menu. 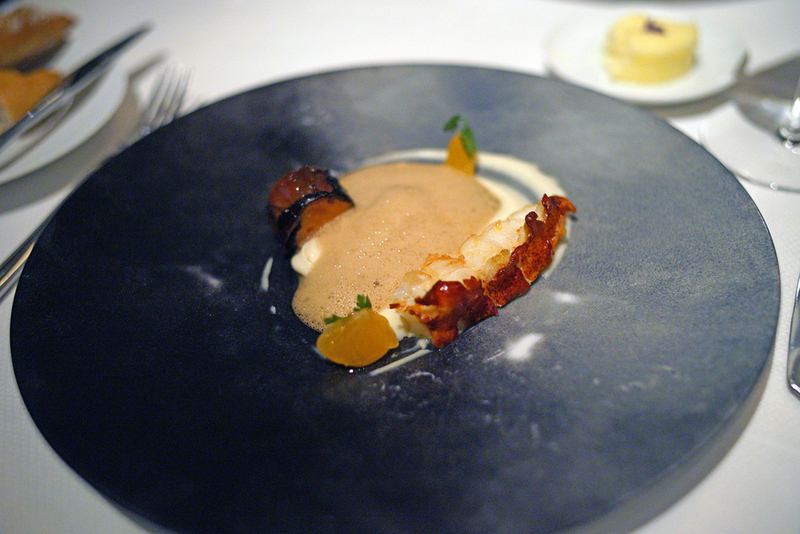 "Our next course is a black cod with Ibérico ham, leek, and celeriac," recited Jonathan. I scanned the menu that was left on our table for reference. "You won't find it. It's off the menu, sir," he said. I debated pulling out my phone to jot down notes. "No worries, it will be printed out on your birthday menu," he grinned. I put away my phone and bit into possibly the best cod I have ever tasted. So silky and moist and when paired with the Ibérico ham...magical. I asked if it was prepared sous vide but found out it was poached. Still thinking about this dish. After wiping the gold off my mouth and savoring the last bite of hazelnut, we heard a cart being wheeled to the table. 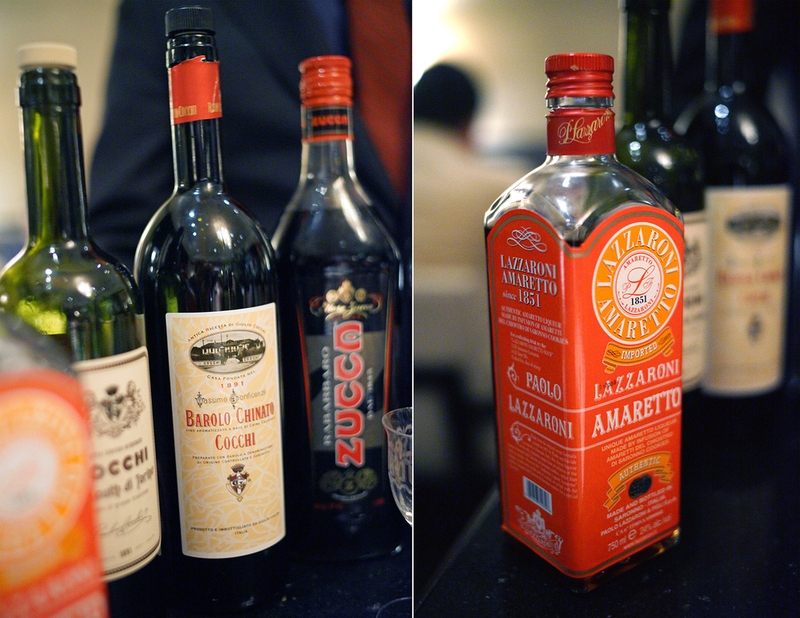 They were trying out a complimentary digestif service where patrons could select a digestif and receive a brief anecdote about the its history and flavor profile. The Amaretto was an easy choice after hearing him describe that there was an infusion of crushed Amaretti di Saronno cookies in the liquor. To offset this sweet liquor, I chose Barolo Chinato Cocchi, a fortified wine, that had notes of orange bitters, honey, cloves, and Five Spice that paired nicely with the dark chocolate petit four. As we were handed our coats, a man in a nicely tailored suit handed us a delightful parting gift - hot chocolate with vanilla marshmallows and Ceylon cinnamon. "To keep you warm," he smiled. Get the 9 course Quince Menu. 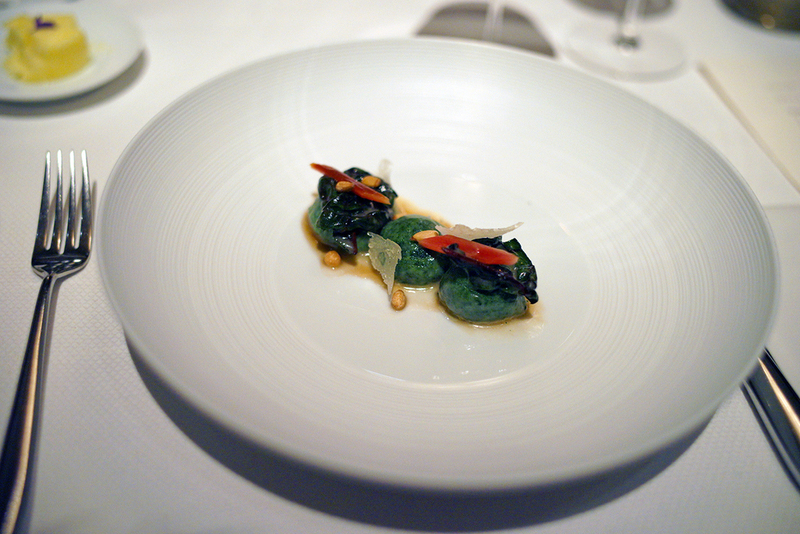 Compared to all the other 2 starred restaurants in SF, Quince's tasting menu ($158) is the best value. Rumor has it prices will go up soon. Food was expertly prepared, colorful presentation on gorgeous plateware. 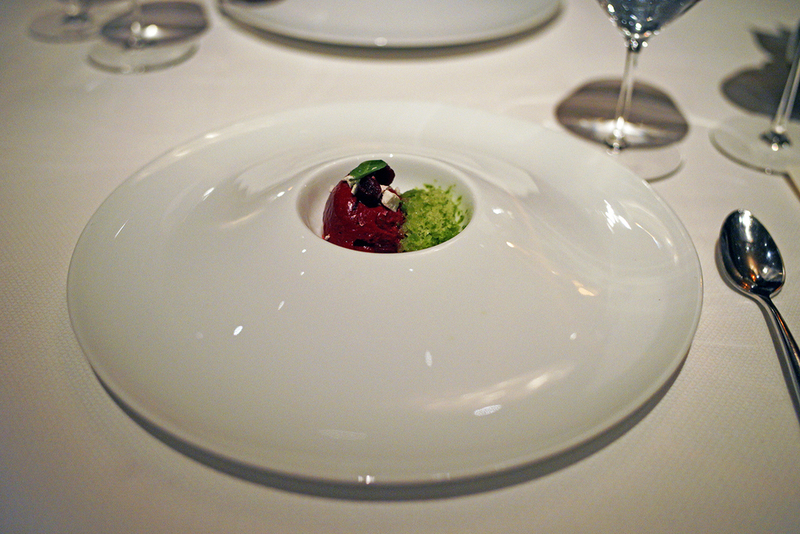 Although each course looks "small", you will be full at the end of the meal. Budget about 3 hours from start to finish. Pacing was excellent and time flew by. For additional pictures and impressions, check out Anna's blog entry.